As planned, Samsung Electronics on Monday announced that it has officially spun off its display business into a separate entity named Samsung Display Co. The South Korean electronics giant said in February that it would separate its LCD business from the rest in a bid to respond to changing market conditions more efficiently and quickly as a standalone company. Based on its 20,000 employees and five production facilities worldwide, Samsung Display Co. is already the world's largest display manufacturer. 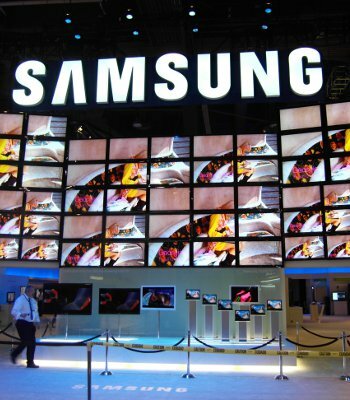 The company recorded 22.7 trillion KRW (around $20 billion) in annual revenue in 2011 as Samsung Electronics’ LCD Business but still saw a 750 billion KRW (~$666 million) operating loss amid a weakening demand for LCD TVs and the oversupply of panels on the market. The rest of Samsung's operation was profitable, making it an easier decision to spin off the business. The new subsidiary will start operations this week with roughly $6.6 billion in financing from Samsung Electronics. Samsung Mobile Display, the company's OLED arm, will be merged onto Samsung Display Co. from July 1st as the company increases its focus on OLED production going forward. Samsung Display Co. will maintain separate LCD and OLED divisions. The spin off comes after struggling Japanese electronics giants Sony, Toshiba and Hitachi announced a deal in August 2011 to integrate their small and medium-sized display business into a government-backed entity called Japan Display. The new venture will start its business this week and is expected to hold at least 20% of the market for panels used in smartphones and other digital gadgets.